We started our trip back to Holland early in the morning. 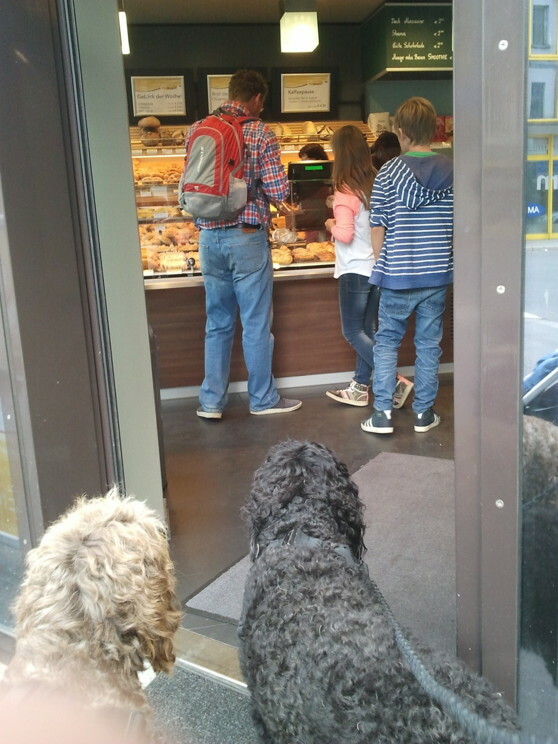 Fortunately the bakery opened just as early! Got some delicious Austrian croissants and sweet cakes to last through the trip of 10 hours. Yatzie and Moët asked for a baguette with ham which they also had! Bye bye Austria! Hope to come back soon! 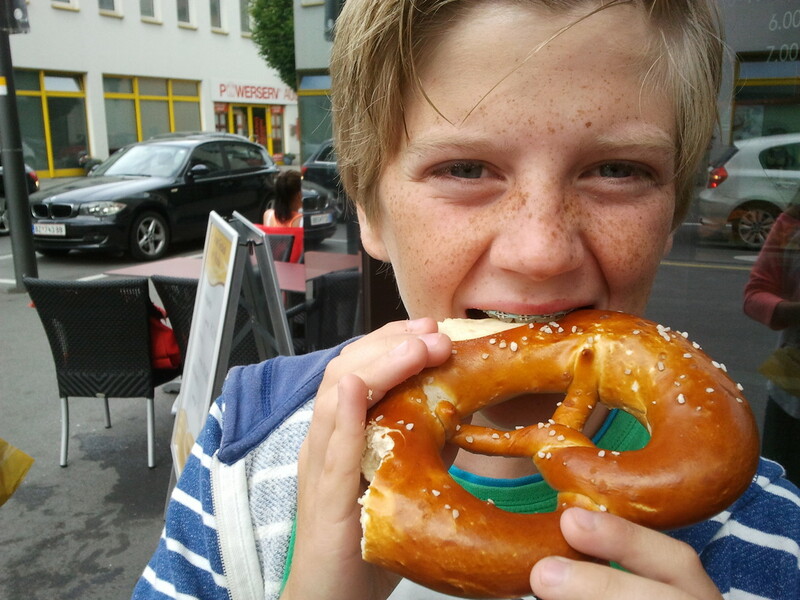 Bas tries an Austrian "pretzel".